Note it’s a 3D scanner, not a 3D printer, so stop thinking about the Makerbot in all its glory. 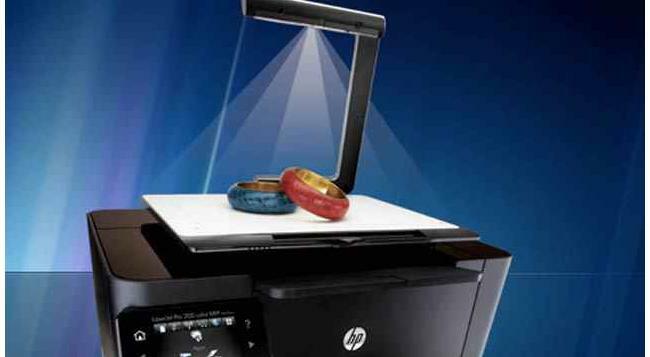 Surprise surprise, HP is teasing its new TopShot Laserjet Pro M275, which is being hyped as a high-end scanner for the masses. Problem is the retail price is a bit of a downer. More on this after the jump. Keep in mind that as a 3D scanner, it can scan several physical objects then render it in 2D. Yes, it produces a 2D image. Great resolution too. But isn’t this a 3D Scanner? Right. It is very much a 3D scanner, meaning it scan whole objects and does not create 3D renditions of them. For that kind of job, why, there’s the Makerbot. This could be a hit in offices of design studios and architects. Oh yeah, the M275 costs a bunch too. It’s $400. Really not much else to go on at this moment so stay tuned for possible updates.